In May 2017, the European Parliament published a set of regulations for medical devices (MDR) and in-vitro diagnostics (IVDR) that will require companies to make significant changes to their manufacturing, clinical investigation, quality assurance and data reporting processes. To read more about these transformative pieces of legislation, download our comprehensive guide. This article will explore the impact of the new classification system, for manufacturers of both medical devices and IVDs. The new medical device regulations (MDR) and IVD regulations (IVDR) were largely driven by the need to safeguard patient safety in response to technological progress. As medical devices and IVDs become increasingly advanced and therefore complex, there is usually a higher risk to the patient. An important aspect of the new regulations aims to tackle this issue by redefining and reclassifying medical devices and IVDs. This will tighten regulations around devices that could pose risk to the human body. The majority of changes apply to IVDs, although there are some noteworthy changes with medical devices. Adjustments to the medical device classification system are not as disruptive as those for IVDs but will require manufacturers to make some important changes. Many of these changes are a result of the old directive not taking into account the level of invasiveness and potential toxicity of some devices. The MDR categorise devices into four classes: class I, class IIa, class IIb and class III. How they are classified depends on 23 rules that consider their function, the risk to patients and the manufacturer’s intended use. There are specific sets of classification rules for four different categories of medical devices: non-invasive, invasive, active and special rules for innovative devices that include other substances. There may also be some difficulty defining certain terms outlined in the regulation that could make it harder to accurately classify certain devices. Manufacturers are advised to consult specialists to ensure that they full understand terminology and are able to interpret the rules correctly. Perhaps one of the most significant changes is that there will be increased input from Notified Bodies, and companies must plan re-certification of many IVDs. Currently, only 15-10% of IVDs require assessment by Notified Bodies but under the new IDVR directive this will rise to 85-90%. However, all class A IVDs will be under the sole responsibility of the manufacturer. In the new regulations, IVDs will now be classified according to a set of rules instead of the current list system. Each of the seven rules divide IVDs into classes depending the risk that they pose to the patient and the public, which will be in line with international practice as they are based on the Global Harmonization Task Force (GHTF) classification rules. The devices will be graded A, B, C or to D, with class A posing the lowest risk to the patient and class D being the highest risk to patient and public. Devices are classified as class C for blood grouping or tissue typing to ensure immunological compatibility of blood, blood components, cells, tissues or organs intended for transfusion, transplantation or cell administration. Exceptions to the rule are ABO, Rhesus, Kell, Kidd and Duffy systems, which must be classified as class D.
Most importantly for medical device and IVD manufacturers is that these changes will greatly affect the way current and future devices and diagnostics are classified, which will in turn impact manufacturing, clinical evidence and conformity requirements. Missing the mark with classification can mean that the product falls short in other key areas and cannot be approved for use by patients. It is advisable to contact a management consultancy that specialises in the medical devices industry to assist with the intricacies of the new classification system. This could help companies to understand the complex terminology, ensure that they interpret the rules correctly and assist with formulating a plan of action. ProClinical, a recruitment agency that has many years’ experience in the medical device industry, has partnered with management consultancy Trinzo to guide medical device companies through the new classification system, as well as helping with the many other challenges that companies following the MDR and IVDR. 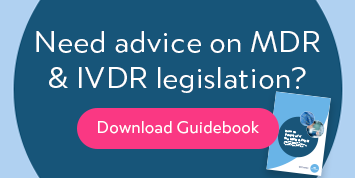 Download our MDR and IVDR whitepaper for more information on how to prepare. Alternatively, you can set up a consultation to discuss your needs with an expert.